With an improved 4K display, larger storage and longer battery life, according to iPhone X/8 pros review, we are seeing an wonderful experience to watch DVD movies on iPhone X/8/Plus, which comes with a screen of 2436 x 1125 pixels. However, without a hard drive, you can't watch DVD movies on iPhone 8 directly. Luckily, there are tools that make this possible. In this article, we show you how to rip DVD to iPhone 5S/7/8/X so that youc an effortlessly play movies on new iPhones with the aid of DVD ripper. When it comes to playing DVD movies on iPhone X/8/7/6S, the basic information you should figure out is the supported video/audio formats for iPhone. Although the detailed parameters of the iPhone X/8 video/audio formats haven't been unveiled, based on the iPhone 8 vs iPhone 7, we can know that the iPhone X/8/8 Plus has ability to be compatible with all former iPhone's video/audio formats. Now, take a look at the below video formats. Obviously, DVD file (common DVD/ISO image/ DVDmedia) is not in the supporting list. That is to say, before streaming DVD movies/TV series on iPhone X/8, you'd better convert DVD to iPhone 8/X as an additional step. For the sake of successfully replaying latest movie DVDs like Inside Out, Ant-Man, Jurassic World, etc on iPhone X/8 (Plus)/7/SE/6S/5, users are strongly suggested to convert DVD to video formats like MP4 and MOV. 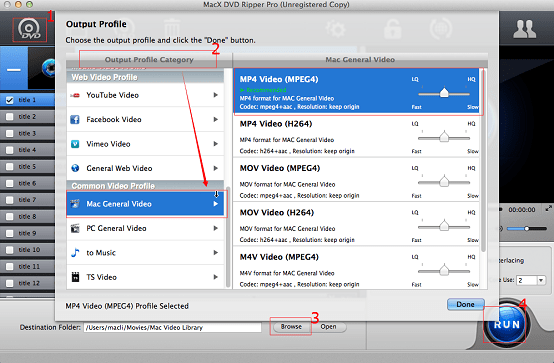 Fortunately, MacX DVD Ripper Pro, which works seamlessly on Mac (macOS High Sierra) and Windows (10), can help you a lot in the process of DVD conversion. With 350+ device profiles, it is able to effortlessly an directly transfer DVD to iPhone 8 (Plus) and other Apple devices including iPad Pro, iPad Air/Air 2, iPad Mini 4, iPod touch 5/4, Apple TV 3, etc on Mac with 36x faster speed and outstanding image quality. What's more, this DVD ripper for iPhone also is capable of ripping all types of encrypted DVD and copy-protected DVD by removing DVD CSS, region code, RCE, Sony ArccOS. UOPs, Disney, etc such that you can freely play the latest movies on the move. Before moving to the ripping steps, feel free to download iPhone X/8 DVD ripper on Mac. For PC users, you can download the iPhone DVD Ripper for Windows. Step 1: Load DVD Movies or DVD Folder and launch DVD ripper for iPhone X/8/7/6S. Click "DVD Disc" button to import the DVD movie. Alternatively, you can also load DVD folder by clicking "Path" button. Step 2: Choose the Output Video Format. Select one of iPhone 8 friendly formats like MP4, MOV, or M4V. Alternatively, you can select Output Profile > Apple Device > to iPhone Video to directly choose the iPhone 8 preset profiles. Step 4: Start ripping DVD to iPhone. After finishing the above steps, click the "RUN" button to begin to put DVD to iPhone on macOS, you could view the conversion progress and are able to cancel the converting process at anytime. Note: MacX DVD Ripper Pro not only can allow users to rip DVD to Apple devices, but also can copy DVD to Android and Microsoft devices like HTC, Samsung Galaxy S8/Note 8, Amazon Kindle Fire, Google Nexus 7, Nokia Lumia 2520, WP8 Mobile, Xbox and more. Users can freely rip any hot DVD movies to iPhone 8 such as Deadpool, Zootopia, Inside Out, Star Wars and more. After the DVD conversion, now you can transfer the movie video into iPhone X/8 (Plus)/7/SE/6S/5 to watch on the go. 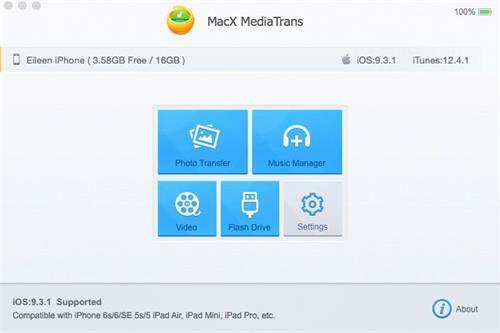 To save your from hassles using iTunes to sync media file, here we also share a much easier way to import the movie rips to iPhone: MacX MediaTrans. Thi iPhone file manager will easily transfer videos in batches from Mac/PC to iPhone X/8 (Plus)/7/SE/6S/5 etc in one click by simply drag and drop, no iTunes needed. Step 1: Plug iPhone 8 to computer via USB cable. Turn off iTunes atuo sync to avoid any data loss. Step 2: To transfer movies to iPhone 8 ripped on computer, click "Video" on the main interface of the transfer software. Step 3: Click "Add" from the top bar, and select the ripped DVD from computer. It supports bach transfer to allow you to add multiple videos one time. And then click "Open". Step 4: Now the software will import the DVD videos. After all the ripped videos are loaded, click "Sync" on the right buttom corner, and all the ripped DVD videos will be transferred to iPhone 8 immediately. Note that it also allows you to transfer video from iphone to mac/PC, so that you can move the movies downloaded with apps to computer to save more space. 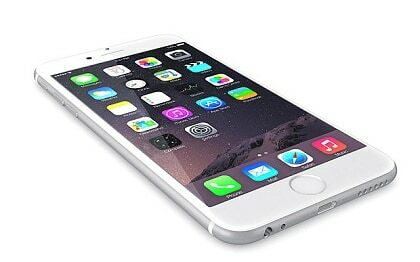 Seeking for the best solution to rip ISO to iPhone on Mac? Take it easy, this tutorial will show you what you want and teach you how to convert ISO to iPhone on Mac. This tutorial is about how to rip and convert DVD to iPad Pro/Air 2/mini 4 etc on Mac (El Capitan incl. ), irrespective of copy protections implemented on DVD. Rip/copy DVD to iPad with/without copy protections in 100% quality with the best DVD to iPad converter for Mac now. MacX DVD Ripper Pro is one of the best tools to rip DVD to iPhone 6s/6s Plus/7. It's a handy thing to have when you're trying to convert DVD to your portable devices.